For a brief moment, Amy Adams' name was listed amongst the best actress nominees for the 2017 Oscars. But sadly for her, and her legion of fans, it was simply a typo. Soon, #NoAmyAdams was trending on Twitter. So why was it such a surprise the star failed to pick up a nomination, either for her role in best picture nominee Arrival, or for her other Oscar contender, Tom Ford’s Nocturnal Animals? 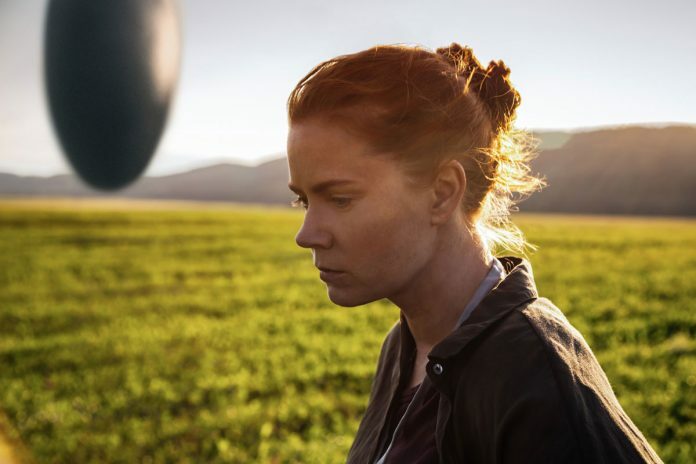 Denis Villeneuve, director of the sci-fi film that sees Adams’ linguist character Louise Banks attempt to speak to aliens, is no doubt pleased it is up for best picture. But he could not hide his sadness the star missed out. “This is the big disappointment,” Villeneuve told US media. “I’m deeply disappointed for Amy. “She was the soul of this movie. For me, it was a given! She had the movie on her shoulders, she’s the one who made it happen. Film critics were unanimous in their praise of Adams in Arrival. The Telegraph said: “Adams is one of the best actresses Hollywood has.” And it praised “the supreme subtlety and screwed-down focus of her work” in the film. The film topped the UK box office in November after taking 3.5m on its opening weekend – and it’s received such a popularity boost in awards season that it’s heading back to US cinemas with extra footage. “Arrival is one awesome film. Must watch. Brilliant acting by Amy Adams,” Arvind Ramanathan tweeted last month. Adams has quietly amassed an impressive list of acclaimed screen roles which has seen her nominated for Oscars five times in just over a decade. She was most recently recognized for playing Sydney Prosser in American Hustle, being nominated for best actress in 2014. She also picked up best supporting actress nods in 2006, 2008, 2011 and 2013 for roles in Junebug, Doubt, The Fighter and The Master. The Academy sometimes likes to reward people who’ve been waiting for a while for a trophy. Leonardo DiCaprio finally won best actor for The Revenant last year after campaigning by fans in his repeated nominations for other roles. But Adams is yet to pick up the elusive trophy. Arrival picked up a handful of nominations for this year’s Oscars, with her other big film Nocturnal Animals scoring one. But did that split the vote and scupper her chance of success? It could well have done. Other actresses who have been nominated this year include Emma Stone and Natalie Portman – for La La Land and Jackie respectively. Their performances in those films have been widely praised and are the only roles both actresses have been associated with this awards season. By appearing in two critically-acclaimed movies near the Oscars, Adams may well have scuppered her own chances of a nomination, with Academy voters splitting their nominations between them. Astonishingly, Adams has received best actress nominations for her part in Arrival at 33 other film awards so far this season – and already won five of them. Among those recognizing her include the Golden Globes, Bafta, London Critics Circle and Screen Actors Guild. They can’t all be wrong can they?